Skyline @ Orchard Boulevard is a freehold condominium situated at 23 Anguila Park, Singapore 239975 in the prime district 09. It is expected to be completed in 2015 by Far East Organization. 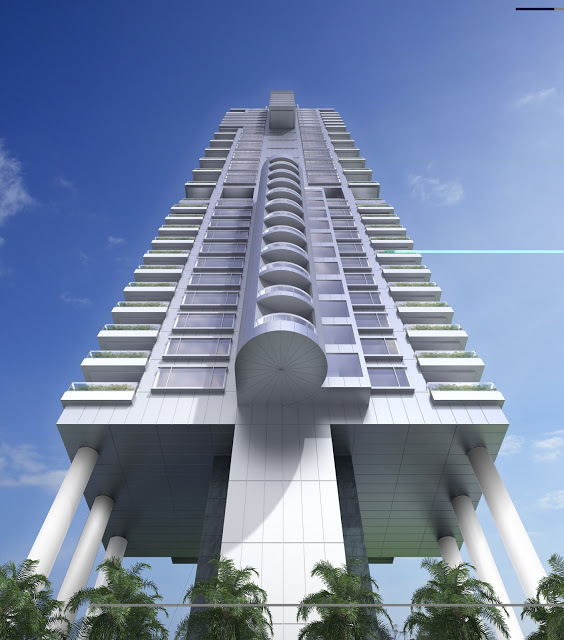 This iconic architecture stands at a height of 33 storeys with a total of 40 exclusive units. 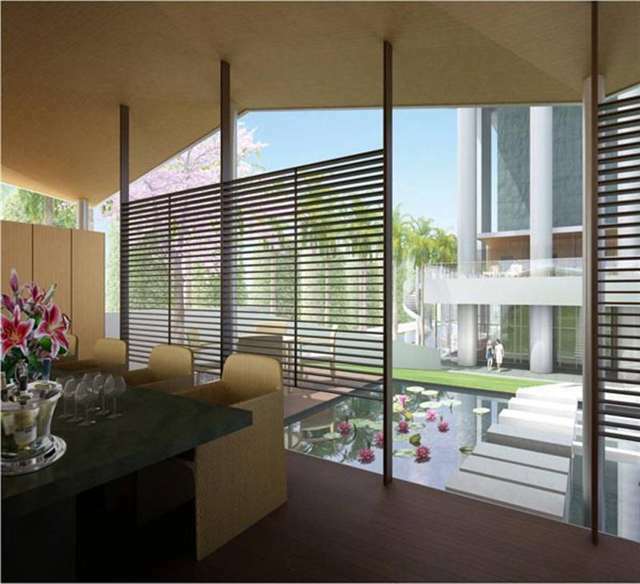 The apartments consist of 1 bedroom + study (1808 sqft), 2 bedrooms (2149 sqft), 3 bedrooms (3096 – 3127 sqft) and 4 bedrooms (9722 sqft). Nothing spells elegance like Skyline @ Orchard Boulevard. Experience a new level of indulgences here with unparalleled qualities and comfort that greet you everywhere you turn within this lavish premises. There is a fabulous holistic selection of facilities for you to recharge, rejuvenate and refresh you mind, body and soul. Here you can ease away the tiredness accumulated, immerse you mind and body in complete relaxation and seek inner serenity right in the comfort of home grounds. You can have a leisure swim in the pool, suntan at the pool deck, relax at the Jacuzzi/sauna room, bring your kids to the playground/wading pool, have a BBQ session with family and relax at the clubhouse/function room. There is also a car park and 24 hours security available here. The myriad of in house facilities exclusively created for residents will pamper you to the max. In a class of its own, Skyline @ Orchard Boulevard, it is favorably located within the proximity of major roads and public transport. It is located at 23 Angullia Park, Singapore 239975 in District 09. The nearest Mrt stations is Orchard Station which is 0.3 km away. Other nearby Mrt stations are Somerset and Newton station. There are several bus services available here. Driving to Central Business District will only take you about under 10 minutes. Major expressways like CTE are seamlessly and conveniently connected to every part of Singapore making it so hassle free for you to travel to work or play. Residents are so close to the vibrant bustling Orchard shopping district which are lined with mega malls like Takashimaya, Ion Orchard , The Paragon , Wisma Atria , Somerset 313 , Centrepoint, Wheelock Place, Liat Towers and many more. There are many amenities available in the malls such as retail shops, supermarkets, food courts, cafes, restaurants, banks, clinics, movies and so on to cater for all your needs. For more dining options to satisfy your taste buds, head down to the reputable restaurants along Orchard Road, Somerset Road and over at Scotts Road. For hawker food lovers, you can head down to Tekka Centre, Zion Riverside Food Centre and Jalan Kukoh Food Centre. The nearest supermarkets are Cold Storage at Tanglin Shopping Centre, NTUC Fairprice Supermarket at Orchard Grand Court, Carrefour supermarket at Plaza Singapura and Market Place Supermarket at ION Orchard. There are many recreational facilities include American Club, The Tanglin Club, Fort Canning Park, Cairnhill CC and Kim Seng Community Club. There are few renowned local and international schools in the vicinity. The primary schools in the area include Anglo Chinese Junior School, River Valley Primary School and St Magaret’s Primary School. The Secondary Schools in the neighborhood include Raffles Girls’ School and St Joseph’s Institution. Tertiary Educational School include Singapore Management University. International schools like Chatsworth International School and Overseas Family School is also nearby. For medical care, residents can head down to the nearby General Practitioner Clinics, Mount Elizabeth Hospital, Gleneagles Hospital and medical clinics at Paragon. Skyline @ Orchard Boulevard is right in the heart of the vibrant and bustling Orchard shopping belt Skyline @ Orchard Boulevard offers the most prestigious and desirable urban lifestyle that everyone dreams of. It is definitely a place to call home.